The insurance policy we need! Unique Binders: Volatiles lock down eye shadow pigments for amazingly long wear. Versatility Galore: Use with powder or cream eye shadow products. 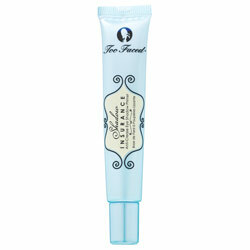 Reliable Beauty: Anti-creasing formula holds eye products in place. Concentrated: The size of a rain drop covers the entire lid. This product is definitely a beauty product must have! Enjoy gorgeous gals! Recessionista Alert! Great beauty product! Welcome back gorgeous gals! 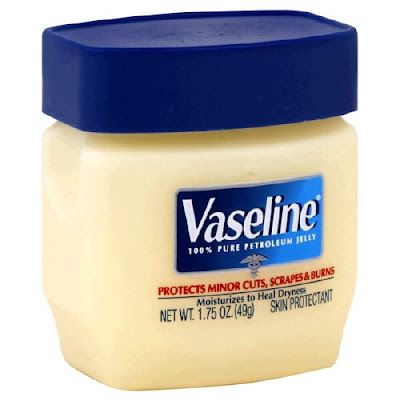 This may shock you, but a huge part of my beauty staple involves (clears throat).. Vaseline. Yes chicas, it is true. This inexpensive rich emollient works wonders. One way I use this, is as a foot cream. After bathing, I slough my feet with a pumice stone. Next, I slather on a large amount of Vaseline to each foot, and then wear socks overnight. I wake up to incredibly soft un-calloused feet! By doing this, your prolonging that pedicure, or just maintaining soft tootsies. Having clean nails is a must for me for many reasons. One, when I work with clients, my hands are one of the first things they notice. Additionally, I am offered a lot of modeling jobs that require my hands to be shown. I just apply Vaseline around my cuticles to keep them soft, and supple. I like to keep a trial size jar in my purse, and use it for my lips. Did you know when you lick your lips, you are depleting moisture from them? I love using Vaseline to keep cracked lips at bay. I also loooove using Vaseline on photoshoots for my models, but use it on myself as well. I just apply a quarter size to each leg, and it provides a gorgeous sheen that elongates the legs. I get a kick out of Tyra! Well ladies, hopefully I have convinced you to go out and get your jar! Happy day to you!